Damp Surveys Ltd - Damp Proofer based in London, Greater London. Solving London's damp, mould and timber problems. Not only does this mean damp should not reappear, but, once correctly identified, it's a lot easier and cheaper to fix the problem. If owners want, we can fix most root causes of damp during the survey, for no additional cost. Typical surveys take between 1 - 1.5 hours, occasionally involve multiple visits, data-logging and testing the other-side of damp walls. The end product of our surveys is a dry home, free of rot and woodworm and satisfied clients, who recommend us to others. Identifying and resolving the actual cause saves between £3,700 and £37,000. We are independent, that is we don't make money from remedial work. Survey fees are our only income. We charge a fixed call out fee, but you are free to email images. 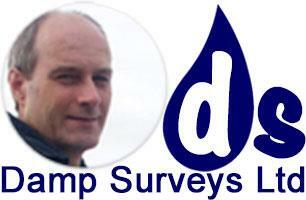 The survey can be FREE, if we find rising damp. It's rarer than you might think, especially with London's geology. In addition we have a satisfaction guarantee. That is if within 14 days of the survey you are dissatisfied, ask for your money back. Where a client can't attend, such as during a Homebuyer's survey, we video damp meter readings and other evidence, in case there are any doubts. Our recommendations are accurately costed. We also offer to return in the summer after you have settled in, to make some additional recomendations based on your experience living in the property. We also offer a money back guarantee against R.I.C.S. surveyors not accepting our conclusions and or a vendor or buyer. Your house was not built with damp problems, it is the changes that have taken place since that cause damp problems.